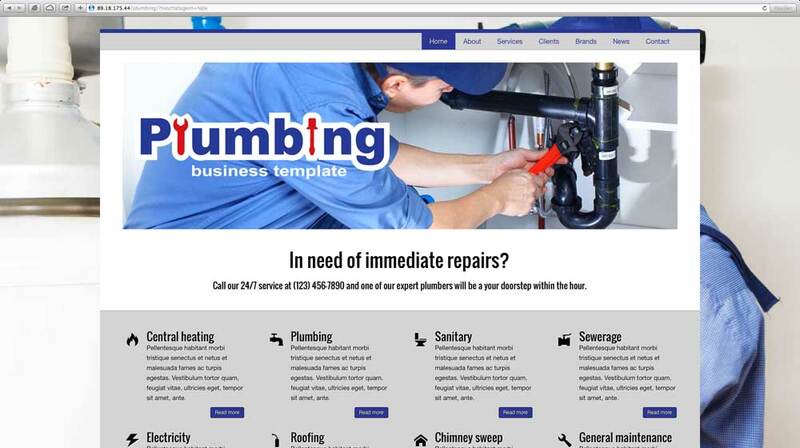 With the Plumbing WordPress theme you get a complete website template for plumbers that can be easily customized without any coding at all. Everything you need is already set up and waiting for your own text and photos so you can get your plumbing website online today. Being a plumber can be highly rewarding. That plumbers perform difficult jobs, often seen as something best left to the professionals says a lot about the overall outlook of the profession. As a matter of fact, the field is expected to experience a 10% - 12% growth rate over the next ten years, which makes it one of the best industries to work in. Many plumbers cite marketing as a significant hurdle. However, this can be remedied by a strong web presence, of which a website is the first step to establishing a local foothold. 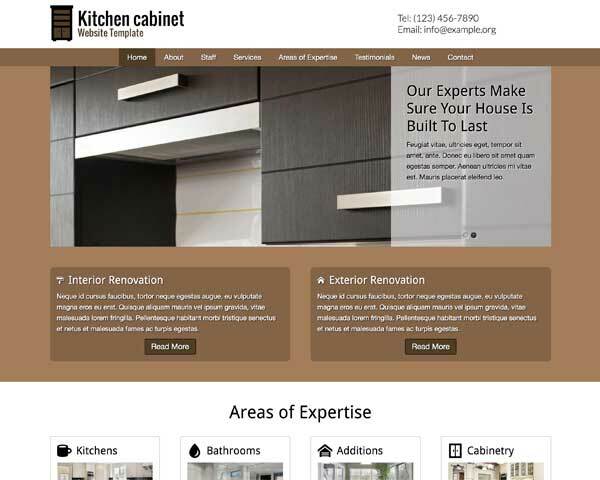 How do you build a well-designed website addresses both your needs and your customers'? 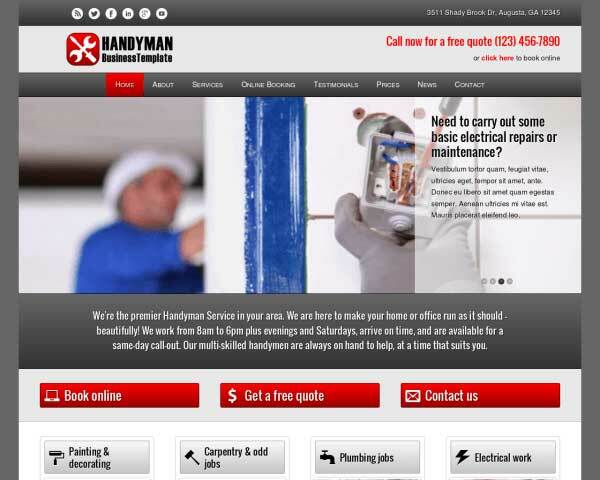 The Plumber WordPress theme is the answer. 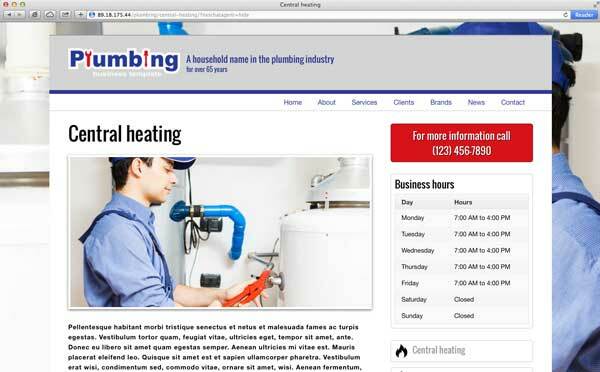 The Plumbing WordPress Theme is a low-maintenance, pre-built website template specifically designed for plumbers. 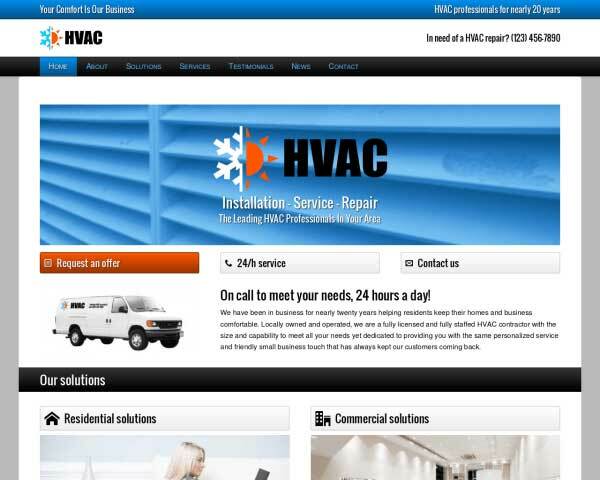 Its bold look and neat layout add up to a quick way for plumbing contractors to create an online presence that projects professionalism. 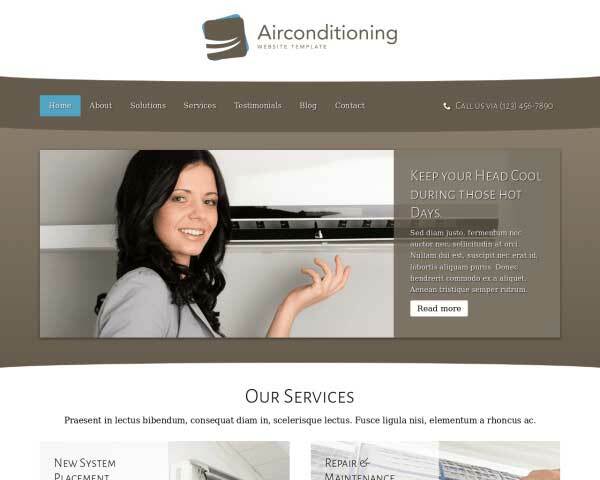 Relevant pages are already set up with text and images so all that's left to do is drop in your own content. 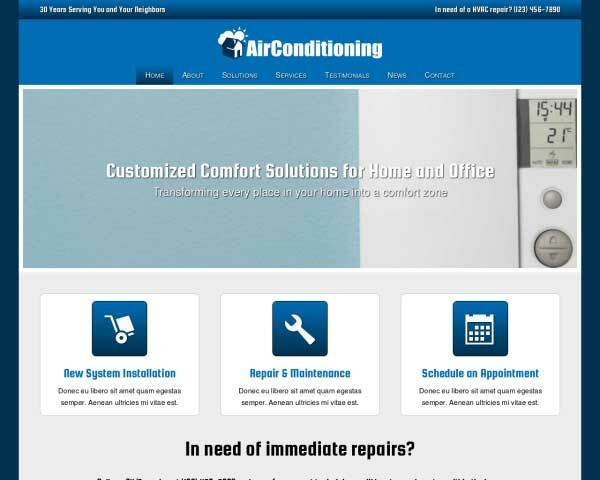 Your new website will offer visitors intuitive navigation and information about your services, along with an online quote request form that can be customized to suit your needs. Absolutely no coding skills are required to change the color scheme and adjust page layouts using our visual front-end editing tool. This premium WP theme includes built-in social media options, mobile-optimized design, and a helpful SEO manager that makes it simple to optimize your site for higher search rankings. 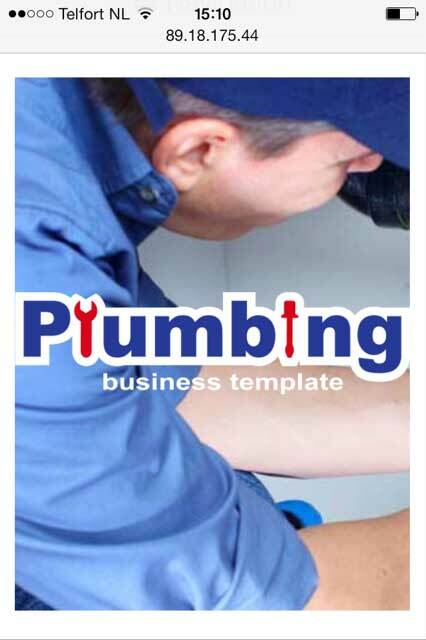 Take a look at the demo site and try it risk-free for three days to find out how the Plumbing WordPress theme can help you expand your reach and grow your plumbing business online. It's WordPress so the Plumbing WordPress Theme can't do without a good blog overview, which also is an excellent way to attract more visitors. 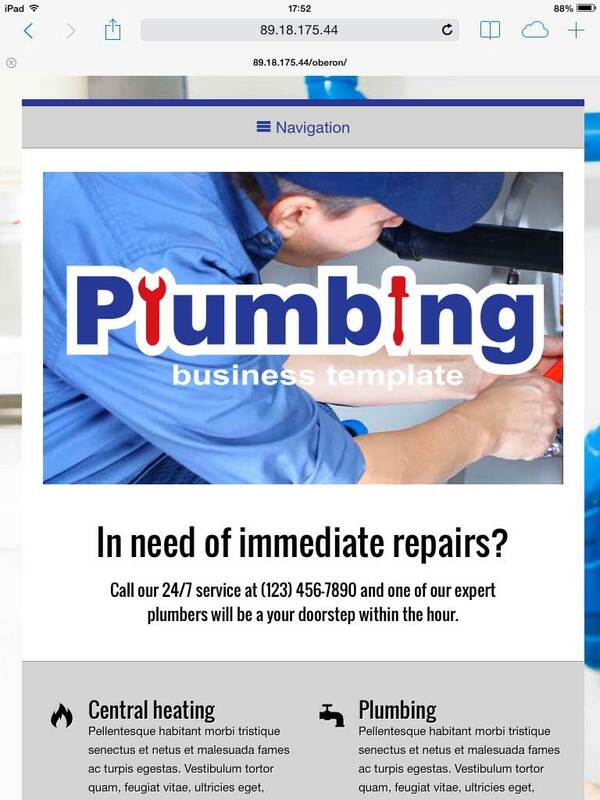 The contact page of the Plumbing WordPress Theme features an integrated Google map and customizable contact form, along with space for any other features you might want to add. 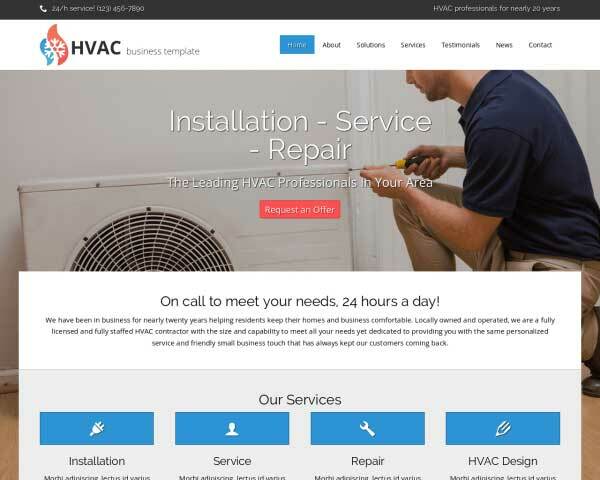 Present visitors with a quick overview of your services on the homepage of the Plumbing WordPress Theme, allowing them to navigate directly to that page with one click. 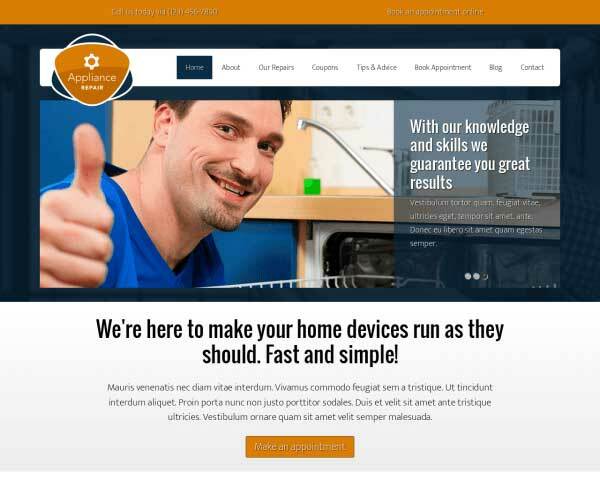 When you build your website with the responsive Plumbing WordPress theme, your new website will automatically be mobile-optimized to look great and work perfectly on smartphones and tablets. 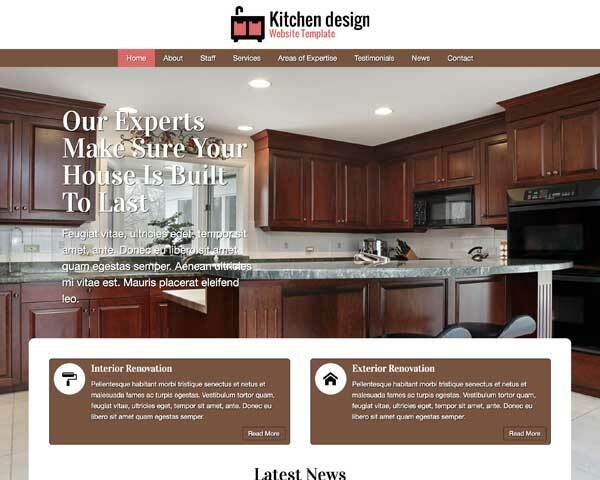 We've built this website template to adapt your content based on the capabilities of each handheld device, so all visitors will enjoy the same professional look and functionality of the desktop version even on small screens. Mobile visitors can conveniently tap on your phone number to dial or tap your email to send a message.